On this episode, a legend sits down with a legend to talk about a legend. 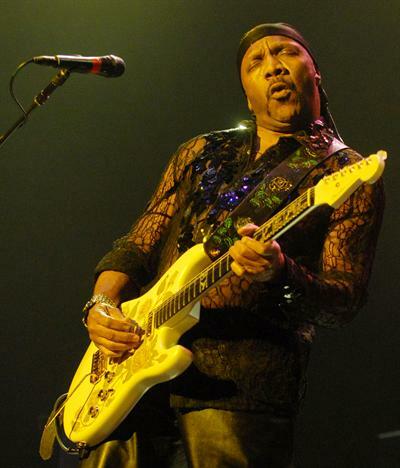 Vernon is on tour with Living Colour on The Experience Hendrix Tour, a tour which features musical legends of guitar and other instruments coming together to pay tribute to James Marshall Hendrix. And Vernon had a chance to sit down and chat with one of those legends, guitarist Ernie Isley of The Isley Brothers. Ernie knew Jimi well before the rest of the world did, so Vernon and Ernie talk about the Jimi that Ernie knew. They talk about Hendrix's days in the Isley Brothers, Jimi's love of Pez candy and Super Chicken cartoons, and also how Jimi was always the baddest guitarist around. This is truly great stuff and a new perspective on Jimi Hendrix. Kamau sits this one out because it was apparently for legends only! Listen below OR get us on iTunes here.